The 6" square universal grate is manufactured from Foamed High Density Polyethylene (HDPE) and is UV stabilized to reduce damage from the sun. Designed to withstand pedestrian traffic. A square universal flat grate is commonly used for grass areas, flower beds, decks, driveways, golf courses, medians, etc. 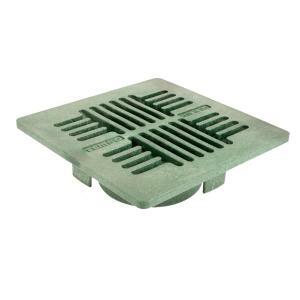 The square universal grate can be used with 3" & 4" Sewer & Drain Pipe (ASTM D2729), 3" & "4 Corrugated Pipe, 3" & 4" Triple Wall Pipe, 6" Sewer & Drain Fittings (SDR 35) and a 6" Round Catch Basin.